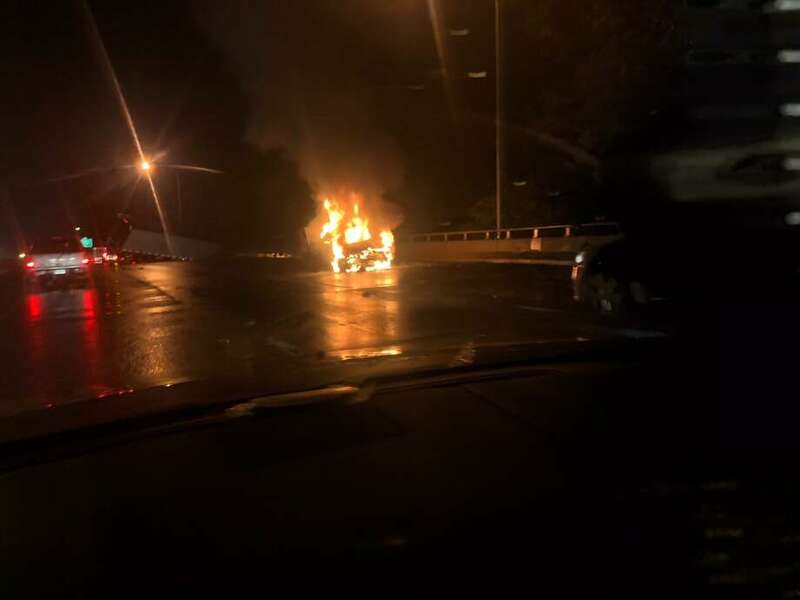 WESTPORT — No injuries were reported in an overnight accident involving a tractor-trailer that set fire to vehicle on I-95. The Westport Fire Department and Fairfield Fire Department responded to a tractor-trailer partially down an embankment between exits 19 and 18 and a car on fire overnight Saturday, according to a news release. Everyone was out of the car at the time the car caught fire. Firefighters put out the flames that had engulfed the car and, along with Westport EMS, provided medical care to all people involved in the accident. As the fire departments made sure the tractor-trailer was in place, they found one of the diesel tanks was ruptured and the leaking diesel fuel was confined and contained, the release said. The Department of Environmental Energy Protection and a Hazmat cleanup crew off-loaded the remaining diesel fuel from the truck and cleaned up the spill before the trailer was moved. All three highway lanes were shut down for an extended period of time, the release said, with the last fire department units cleared just after 5 a.m. Saturday.